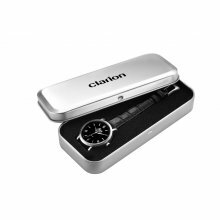 Rectangular metal gift tin with black foam watch insert. The lid may be printed with your logo. 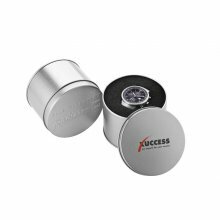 Round metal gift tin with black foam watch insert. 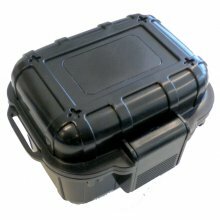 The Lid can be printed or given minimum quantities, have your logo embossed into the lid. 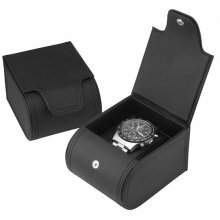 Black round metal gift tin with black foam watch insert. 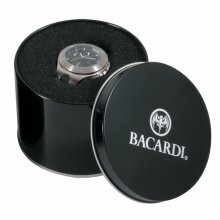 The Lid can be printed or given minimum quantities, have your logo embossed into the lid. 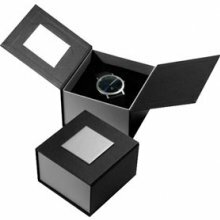 Black or translucent long polypropylene gift box. Can be printed and this is a very strong gift pack. 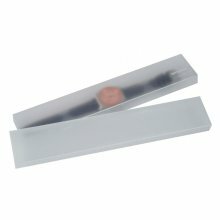 Black and silver card gift box with silver metal top name plate that can be printed. 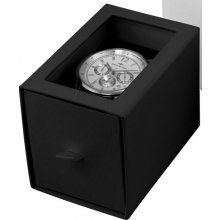 Black foam watch insert. 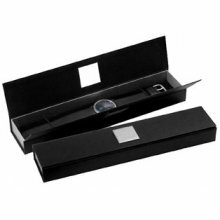 Black and silver card gift box with silver metal name plate that can be printed with your logo. Matt polyurethane box with black stitching, press stud close and black pillow insert. 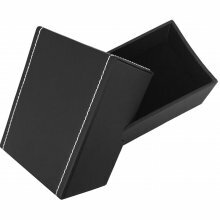 Black sliding paper box with foam insertt. 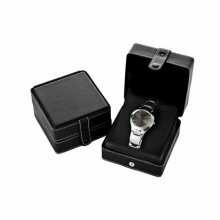 All Black or Yellow with black trim water resistant Explorer gift box. Also stackable construction. 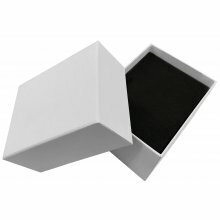 White Rectangle Paper Box with foam insert.